Our open air bar is perfect to enjoy breathtaking views of the Caribbean Ocean. Cool down with tropical drink specialties – Pina Colada, Monkey Lala, Margarita, Daiquiri. The incredible views of the Jonesville Bight, the ocean and the friendly atmosphere is sure to have you back again! Enjoy live music on Tuesdays along with drink and menu specials. Trico Bar & Grill is a delightful place to dine, featuring our famous loaded nachos, great burgers and fresh locally caught seafood – shrimp, lobster and fish. Looking for something special, just ask we will whip something perfect up to meet your request. We offer optional Full Meal Plans – “al la carte" lunch and dinner. 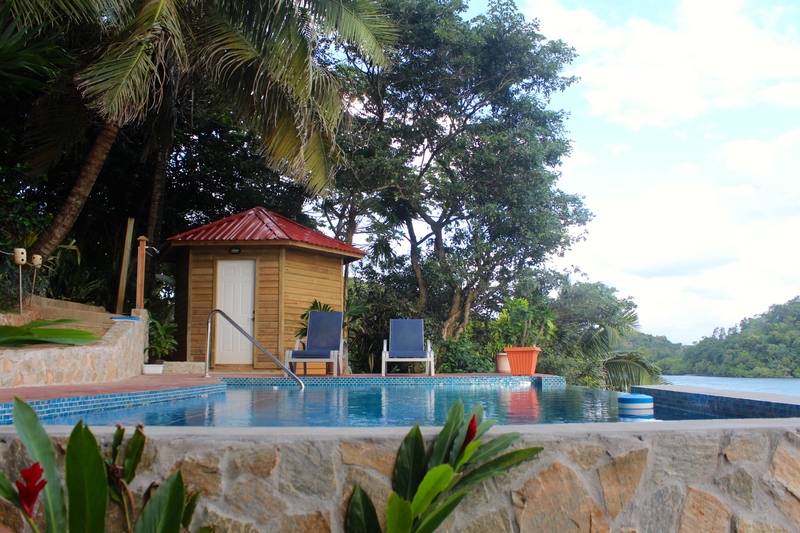 Family vacations, diving and fishing vacations, yoga retreats…. our vacation rentals have the perfect accommodations.